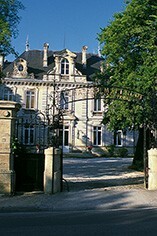 Château Malescot-St-Exupéry, a 3ème Cru Classé Margaux property, can trace its history back to the 18th century. Over the years its reputation slipped and the estate became dilapidated and run-down. 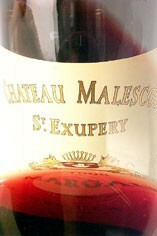 In 1955 Malescot-St-Exupéry was purchased by the Zuger family who invested heavily in the estate, and it is now one of the best-maintained and most quality-driven of the Margaux crus. Today it is run by Jean-Luc Zuger. The winery and the cellars are located in the town of Margaux, while the vineyards now consist of five separate parcels in the commune of Margaux. 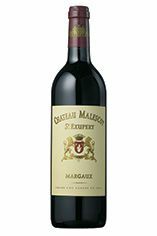 Malescot-St-Exupéry's wine is a blend of 50% Cabernet Sauvignon, 35% Merlot, 10% Cabernet Franc and 5% Petit Verdot - it is matured in oak barriques, 80% of which are new, for 16 months and is bottled unfiltered. Malescot-St-Exupéry can be light and lean when young but after 6-7 years of cellaring displays a seductive perfume and a harmonious and silky texture which few wines from Margaux can match. This is a really lovely Margaux, full of bright fruit. With plenty of rich cassis fruit and hints of smoke on the nose, this is certainly not bashful. The wine has a very well-balanced, svelte, medium-bodied mid-palate, with hint of spice and smokiness following through onto the nicely balanced finish. There is a density of fruit, with the tannins and acidity in perfect harmony.